New Delhi is the capital of India with an amazing amalgamation of sparks of history locating in old Delhi and elegant grace of modern cosmopolitan Delhi. 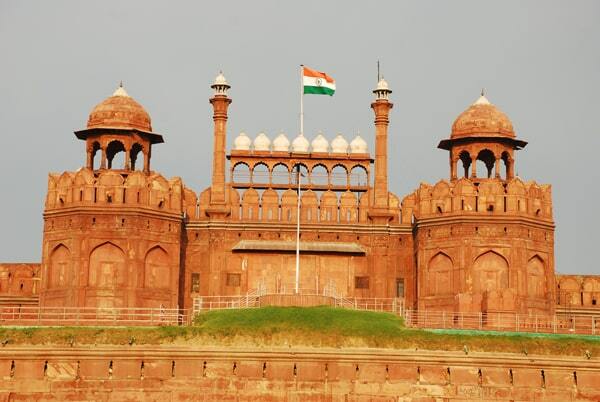 The city has unique and mesmerizing streak attracting explorers from the world over with its epic historic sagas placed beautifully and poetically in the exotic monuments and other attractions situated in this city of hearts—New Delhi. 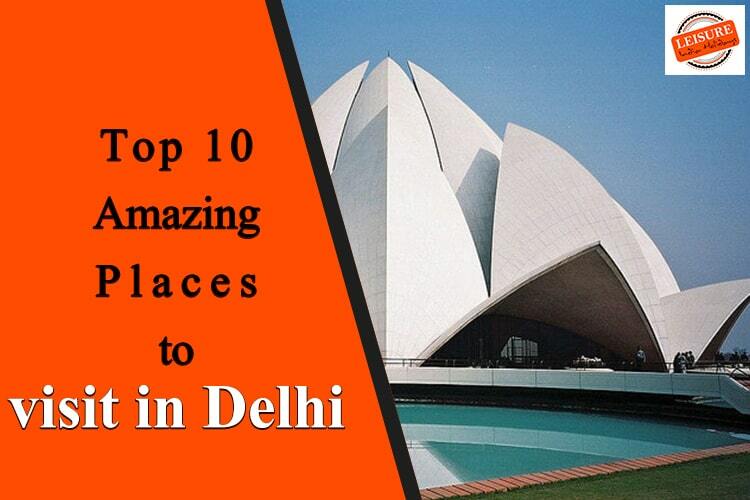 Have a look at these best places to visit in Delhi, we’ve selected for you after exploring every nook and corner of Delhi so that you can have ultimate bliss on your Delhi trip. 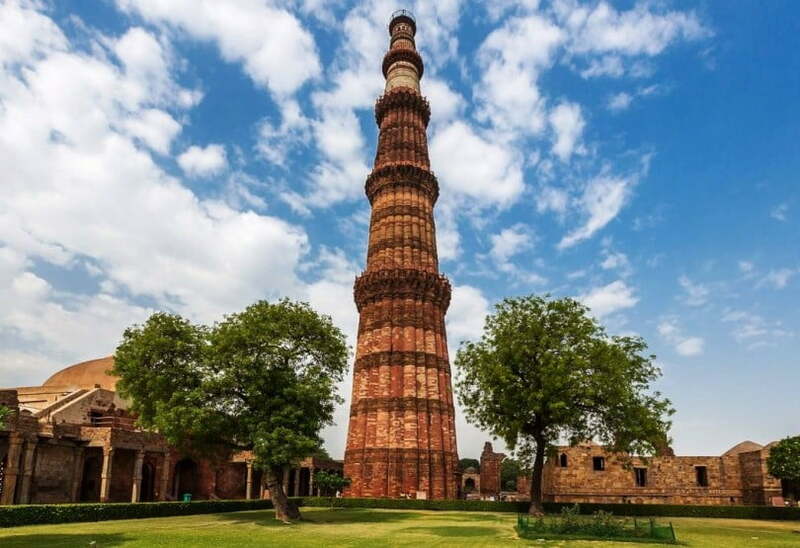 Walk around the tallest brick minaret, with a rising height of 73m tower of victory. Built-in 1193 by Emperor Qutub-ud-din Aibak. The structure is made widely with red sandstone, marble, and sandstone. Being a part of UNESCO’s world heritage site, Qutub Minar is among one of the loved places to visit in Delhi for youngsters. Collect all your energies to climb 379 steps of this masterpiece to have that panoramic yet royal feel standing on the top of this tower. Find your solitude in the peaceful precincts of Red Fort—Jama Masjid. Jama Mosque is the largest mosque in Asia which has large enough courtyard to allow 25000 devotees to offer prayers at a single time. It was the last marvelous creation of Mughal Emperor Shahjahan developed in the year 1650. 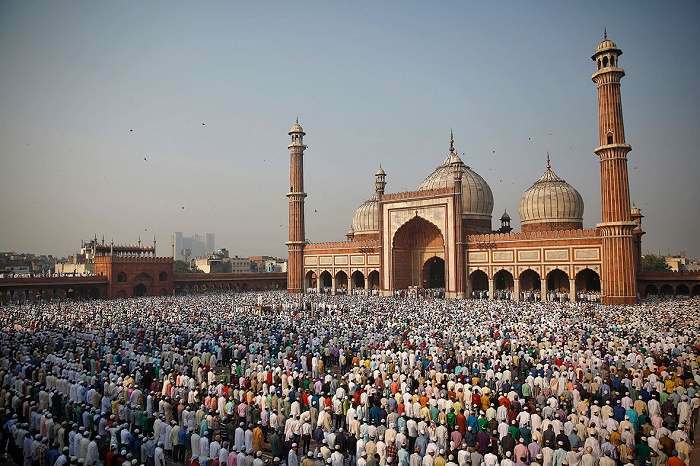 Jama Masjid satisfies desires of avid lovers of history as well as culture in a most pleasant way. India Gate, the national memorial, is built in the memories of soldiers who lost their lives in world war first to save the eminence of the nation. Surrounded by lush green lawns, this place is at its best at night when shines of stars merged with colorful floodlights standing here, double the spark. 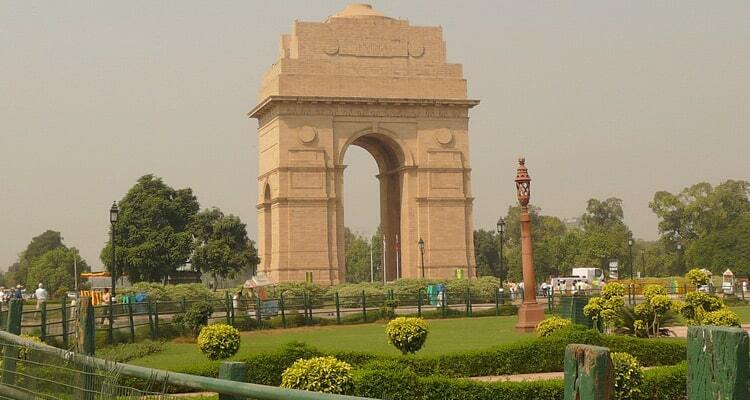 India Gate is one of the best places to visit in Delhi in evening. 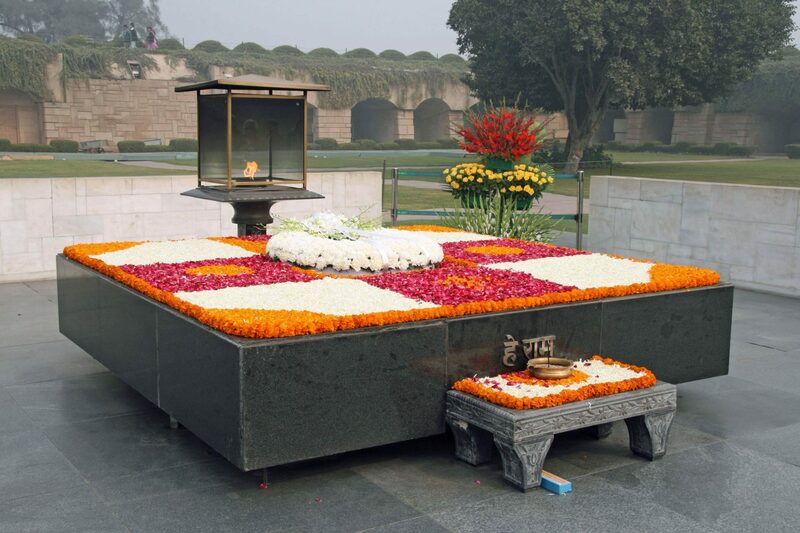 Pay homage to our own Father of Nation, Mahatma Gandhi while visiting his memorial, Rajghat. This is the place where the last rituals of Mahatma Gandhi’s were performed on 31st January 1948. You can notice stone of Gandhiji in square black stone over here along with a museum displaying the life cycle and stories of Great Mahatma Gandhi. A show on the life story of Mahatma Gandhi in English is displayed from 9:30 am to 5:30 pm except for Thursdays over here. Come to offer flowers and respect to a great soul—Mahatma Gandhi! Another name of the beautiful temple is Bahai House of Worship, solving double purposes on a single go. Not only you gonna find your peace of mind here, but also this center of faith will awestruck you with its contemporary architecture. The structure of lotus was chosen with the conscious and divine idea of unity, as the lotus is an important symbol common to Hinduism, Buddism, Jainism, and Islam. The temple is one of the most beautiful places to visit in Delhi at night. Visit this temple to feel the true spirit of India- “Unity in Diversity”. 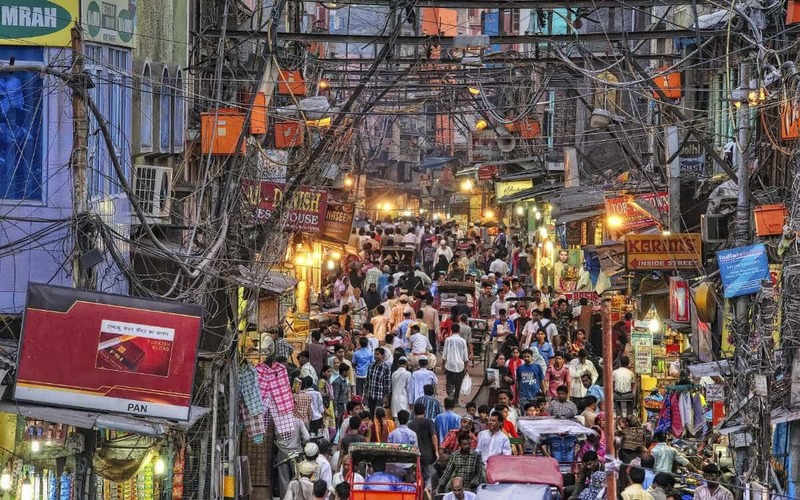 If you are looking for places to visit in Delhi in one day, then Chandni Chowk is one of them. Time travel in history, stroll in historic lanes of old Delhi. Take your time out to collect vibrant streak of Delhi, get ready to blow with charms of diverse cultures celebrating life together delightfully. Keep your shopping and bargaining skills handy to fill your shopping bags with all unique stuff at throwaway prices in the historic bazaars of Chandni Chowk. You’ll never lose your energies while walking in these narrow most lanes, as these lanes are ever ready to serve you with tastiest street food of India. Make your dream came true just in Chandni Chowk. Connaught Palace is one of those places to visit in Delhi for fun & Shopping. For adding more shopping tales to your Delhi story, explore stores of world-renowned brands of the world at Connaught Palace. 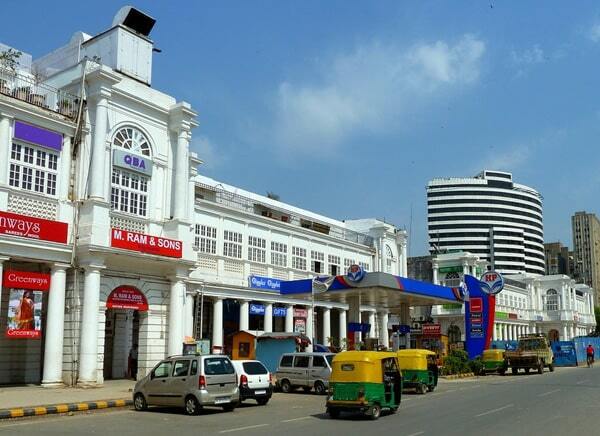 You can even name CP, a modern and sophisticated version of Chandni Chowk. As you gonna sense the modernity of Delhi while having your favorite cappuccino at Starbucks here, with other classy crowds of Delhi. Relaxing on the banks of Yamuna, this traditional marvel of architecture is a manifestation of time-tested ancient traditions of Hindu culture and spirituality which has filtered down in today’s era. The musical fountain in the temple vicinity is the most popular as it attracts most of the tourists coming to Delhi. So be ready to take a dip in this epitome of spirituality. The old name of this beautiful garden is Old Lady Wellington Park. The major attractions of the park are Tomb of Muhammad Shah and Sikander Lodhi. Awarding best clicks to photographers with it’s well manicured and preserved lawns. 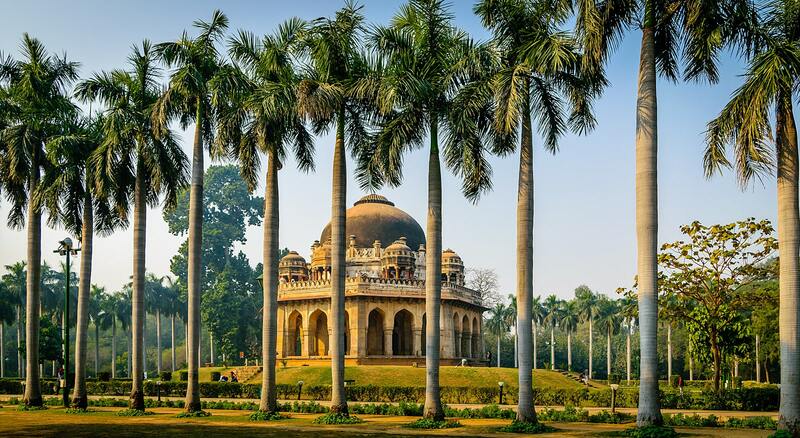 Have your relax moments in busy tripping Delhi schedule at Lodhi Gardens. So, this is our list of places to visit in Delhi, Although, Delhi is the city with extremes; a list is not enough to wrap its jewels. However, this is the place for the souls who wear their hearts on the sleeve, as you are going to catch here the reflection of this whole big nation—India. So pack one hearty smile in your baggage for Delhi visit!